She’s perhaps the greatest reporter on the planet. And not just the Daily Planet! Since her first appearance in Action Comics #1, Lois Lane has found herself at the center of one earth-shattering event after another. From her early days reporting on the plights of the common man and taking on the mob to her later adventures uncovering mole-men or covering Doomsday’s rampage through her beloved Metropolis, she’s done whatever it takes to get the story. Even when it puts her in danger. Of course, whenever she does find herself in harm’s way with no way out, Superman is there to save her. Because while she may have spent years trying to beat her colleague Clark Kent to get the byline, she’s also spent those same years in one of the great love stories for the ages. The tale of the god who loved a mortal is as timeless as mythology itself, but Superman and Lois gave it a 20th Century spin that still resonates into the 21st. 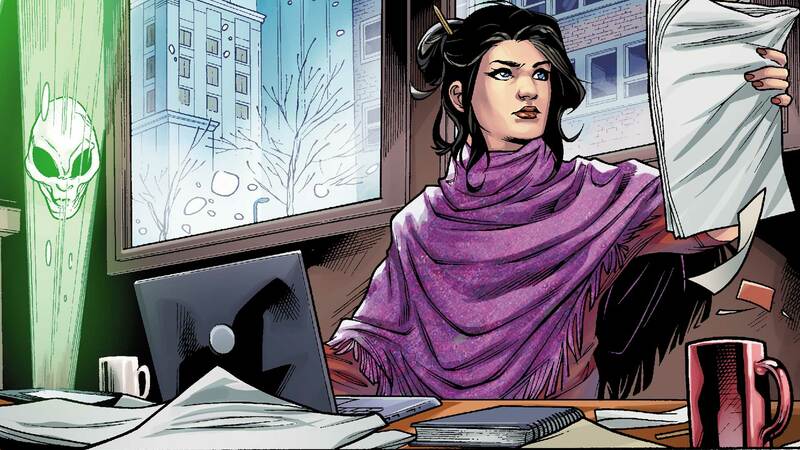 A role model, an icon and a hero without a cape, Lois Lane has been an eyewitness to history, and through her perseverance and reporting, has opened hearts and minds—not the least of which belongs to the Man of Steel. Love may sometimes have blinded her to the obvious, that Clark and Superman are one and the same. But it’s that same love that has continued to be one of the greatest sources of strength for Kal-El, by helping him to become the most human alien.